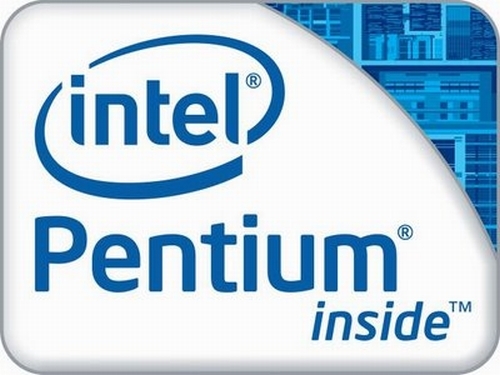 The Intel Pentium G860 is a low-end dual-core desktop processor based on the Sandy Bridge architecture. Compared to the more expensive Core i3, Core i5 and Core i7 CPUs, many features are disabled including Turbo Boost, Hyper-Threading, AVX and AES. Each core offers a base speed of 3.0 GHz. Sandy Bridge is the evolutionary successor of the Arrandale/Clarkdale architecture. The most noteable improvements are the new 256 Bit AVX instructions, the improved Turbo 2.0 (both features not supported by the G860) and the integration of the graphics card into the 32nm CPU core. The performance of the Pentium G860 is slightly above that of a similarly clocked Clarkdale processor due to some architectural improvements. Compared to AMD's Trinity Desktop APUs, the Pentium G860 offers higher raw performance than the A6-5400K, but is still below the A8-5600K and A10-5800K. The integrated Intel HD Graphics (Sandy Bridge) offers 6 Execution Units (EUs) clocked at 650 MHz up to 1100 MHz with Turbo Boost. The very low performance is only sufficient for older and less demanding games.